When I’m creating digital art, I mostly listen to my intuition. So today I created a deep blue canvas on PicMonkey and tweaked it a bit with PicMonkey’s gizmos, so that I ended up still with a fairly dark canvas but with a bright light in one corner shining brightness into the canvas. 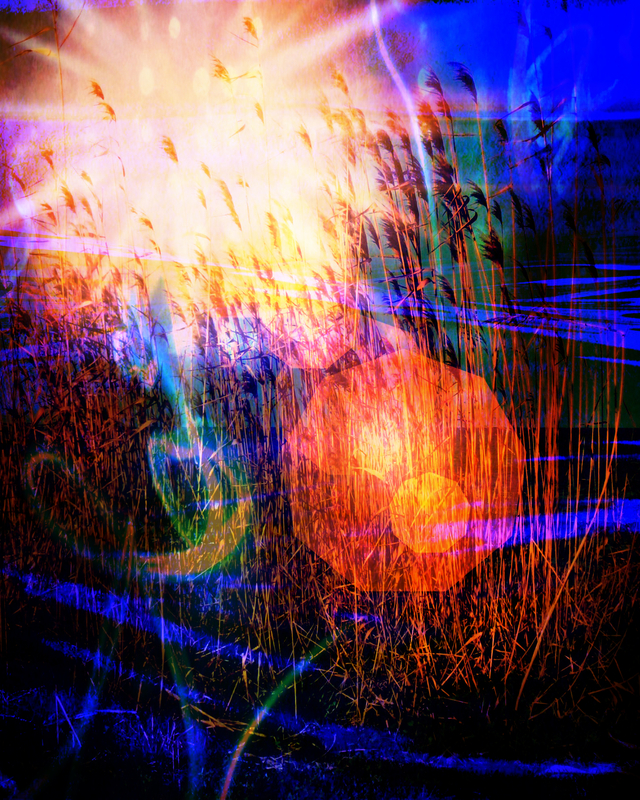 Then I added a photo I took a while back of grass growing beside the Mediterranean, and finally added some effects from PIxlr. I named this “Hopes & Fears” because the bright light denotes our hopes, while it also shines a light on the fears that lurk in our emotional depths. Sometimes we need to be brave and circumvent these fears so we can take action, shine our light and release our creativity. Sometimes we need to heed those fears because they can represent commonsense and also an intuitive feeling to tread carefully in following our hopes. However, when you know your hopes are heading you in the right direction and you know you have to walk your talk and talk your walk, below is the famous poem by the brilliant American Poet, Mary Oliver: The Journey. Wow, love this. I had a time like that, actually a day, when I had to move forward and save my own life. This says it all. Glad you liked this, Kerry, I love your photo, you look so bright and cheery. Thanks. I like to think of myself as bright and cheery. I used to be bitchy and negative. I forgot. Love the art work. That is really a bright light that is shining!